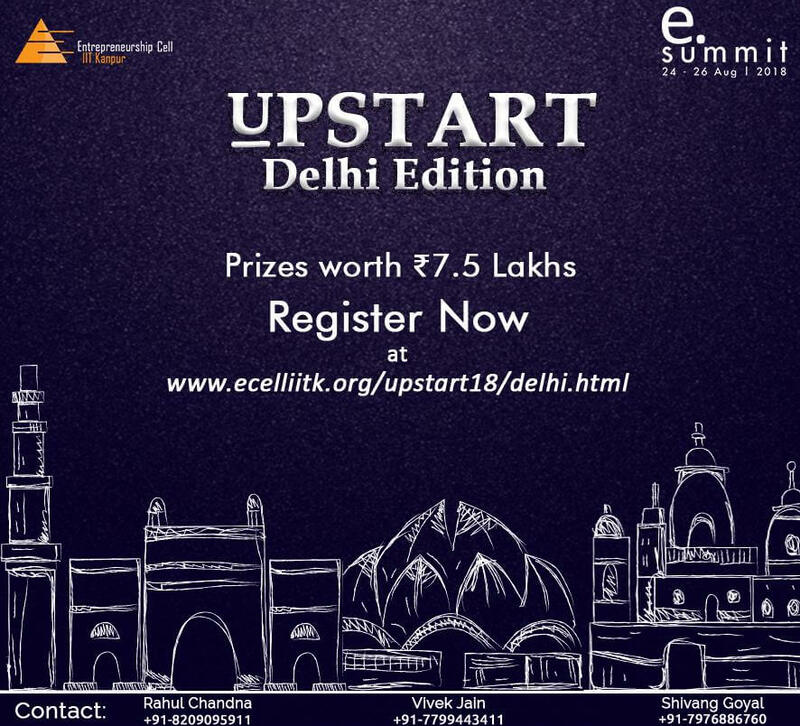 Cipla has launched a campaign for encouraging the new generation thinkers. 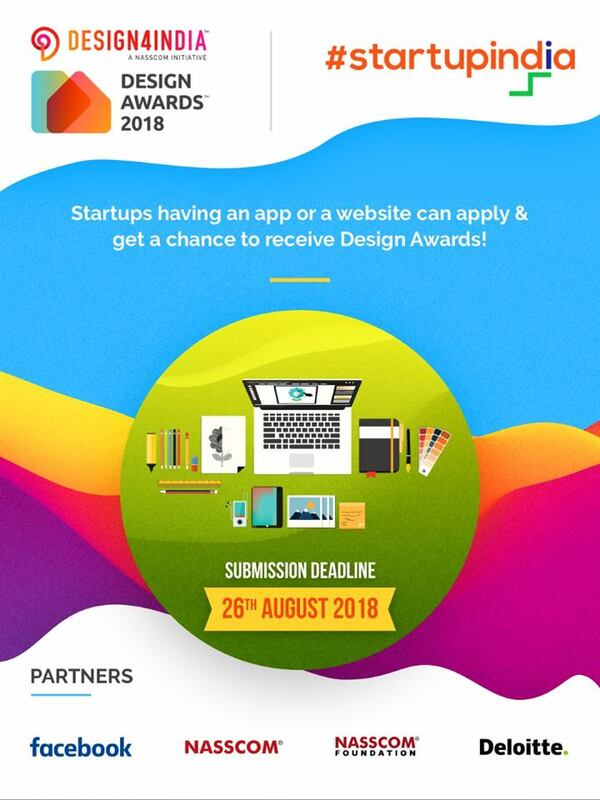 Register and submit your idea with Cipla and stand an opportunity to get funded by Cipla for your idea. 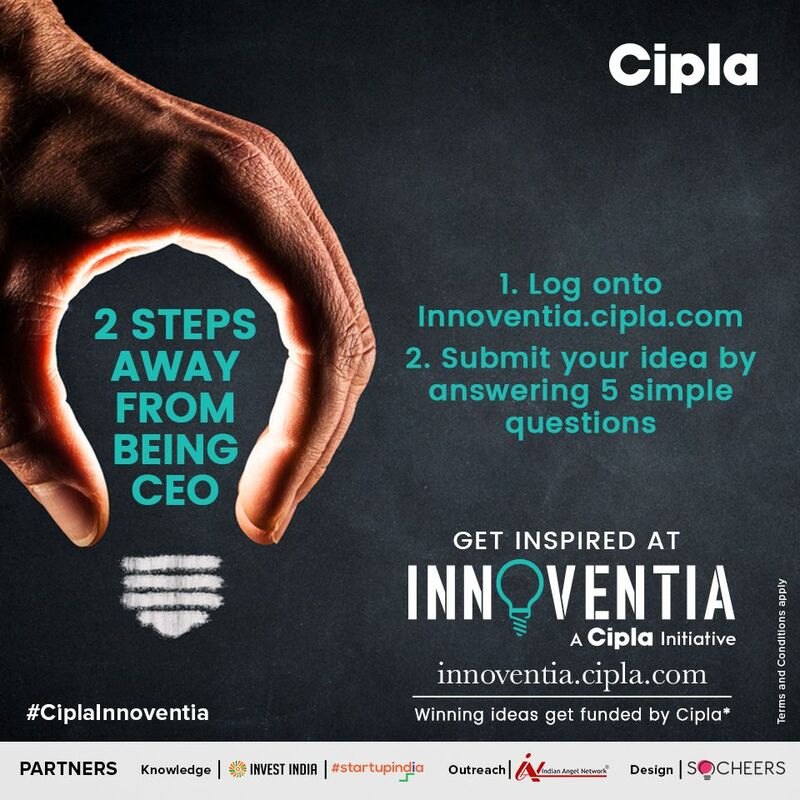 Kindly visit Innoventia by Cipla portal for registration and submission. 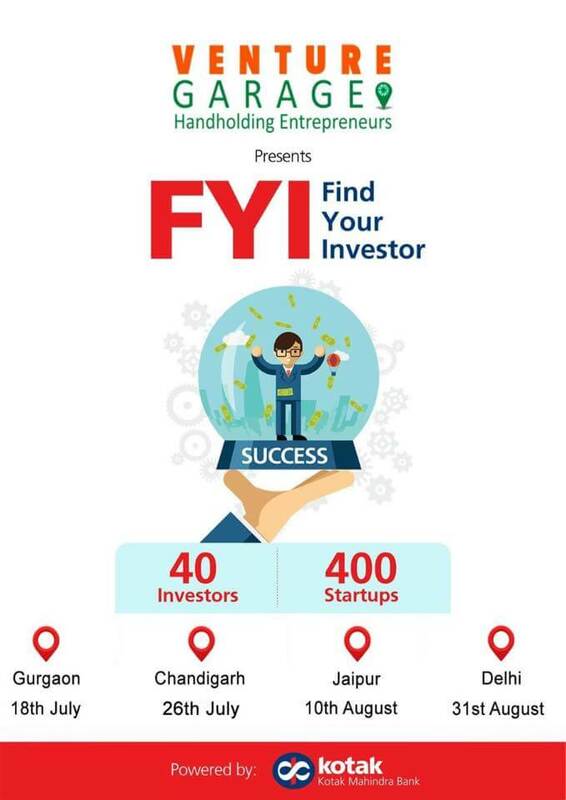 Invest India is conducting an event named “Integrate to Innovate” for encouraging startups. 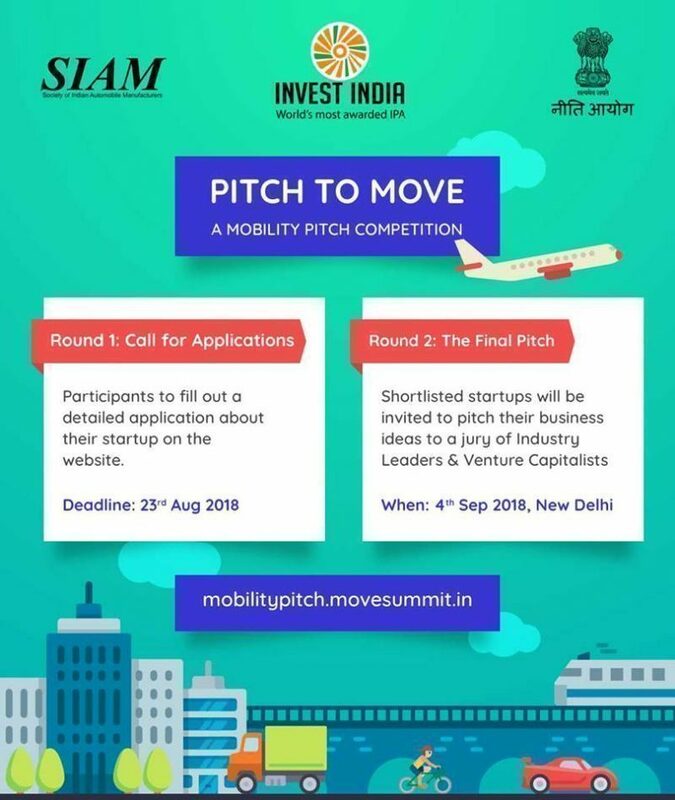 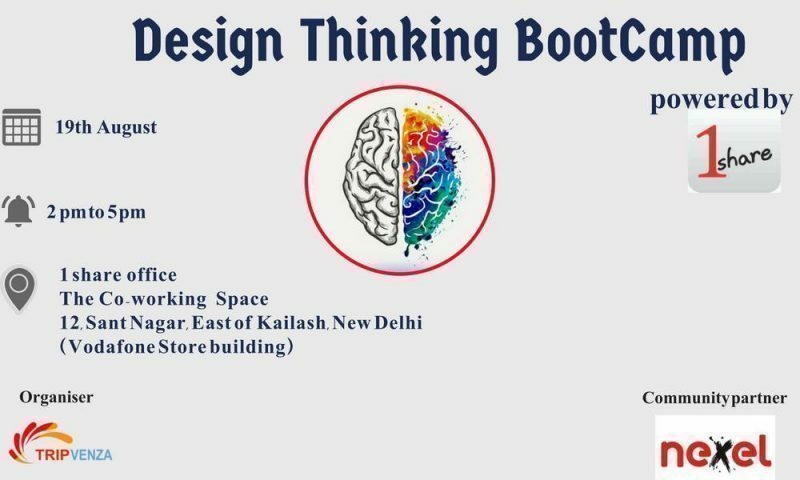 The main motive of this event is to move startups more closer to corporate, so that Startups can build their products as pilot with the help of corporate companies. 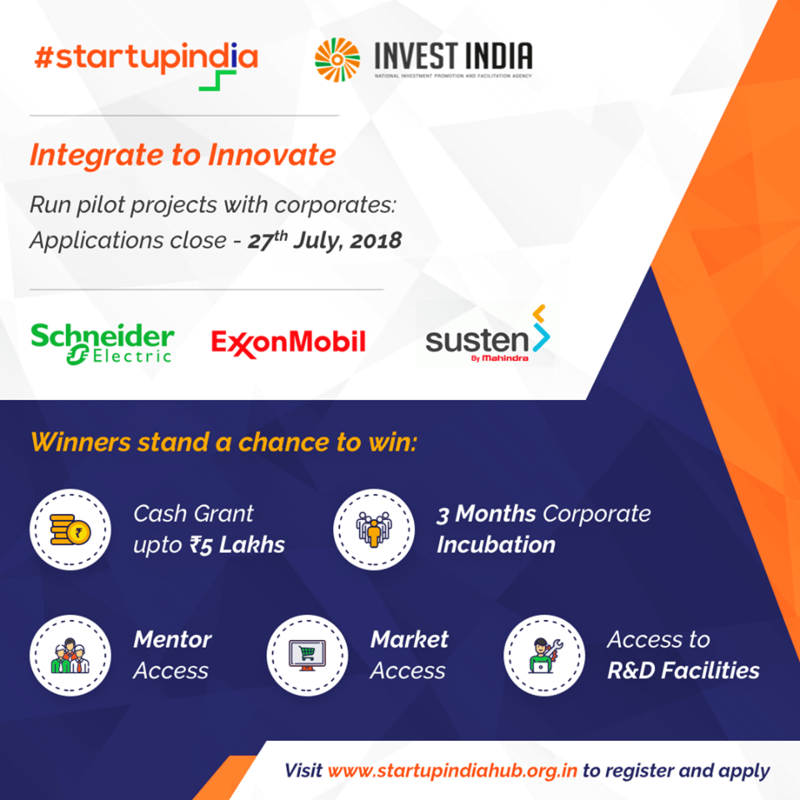 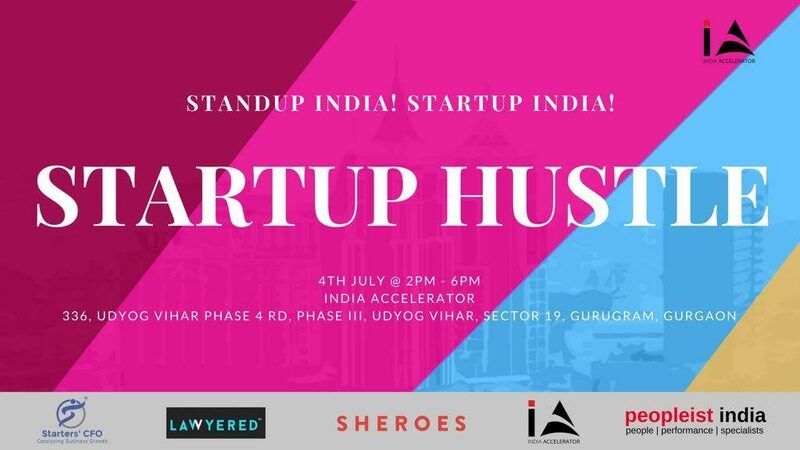 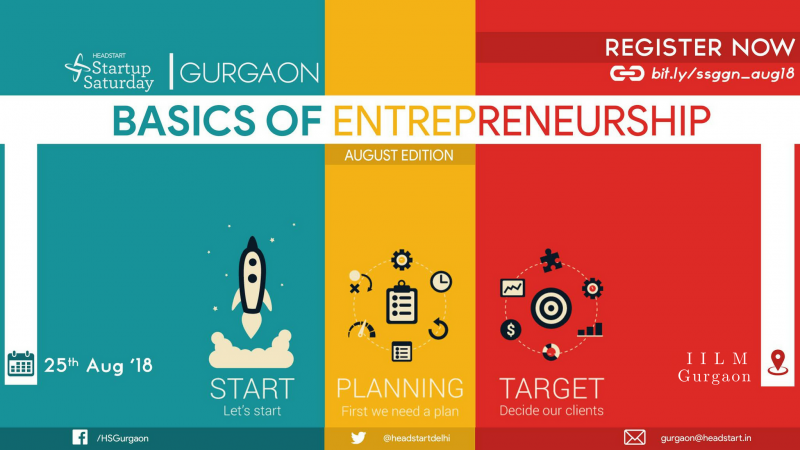 Please visit the StartUp India hub for more information and application process.